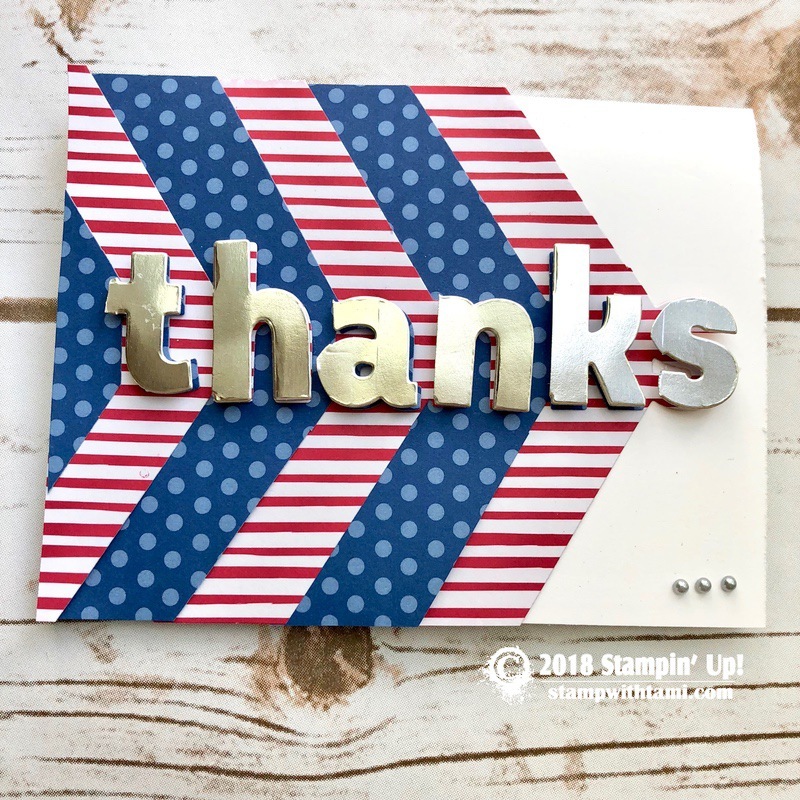 Welcome to my Stamp It Demonstrator’s Group Patriotic Theme Blog Hop. We’re all really excited to unveil our projects, and announce a new contest give-away (below). To continue on your journey through our projects, simply use the BLOG HOPPERS links below. 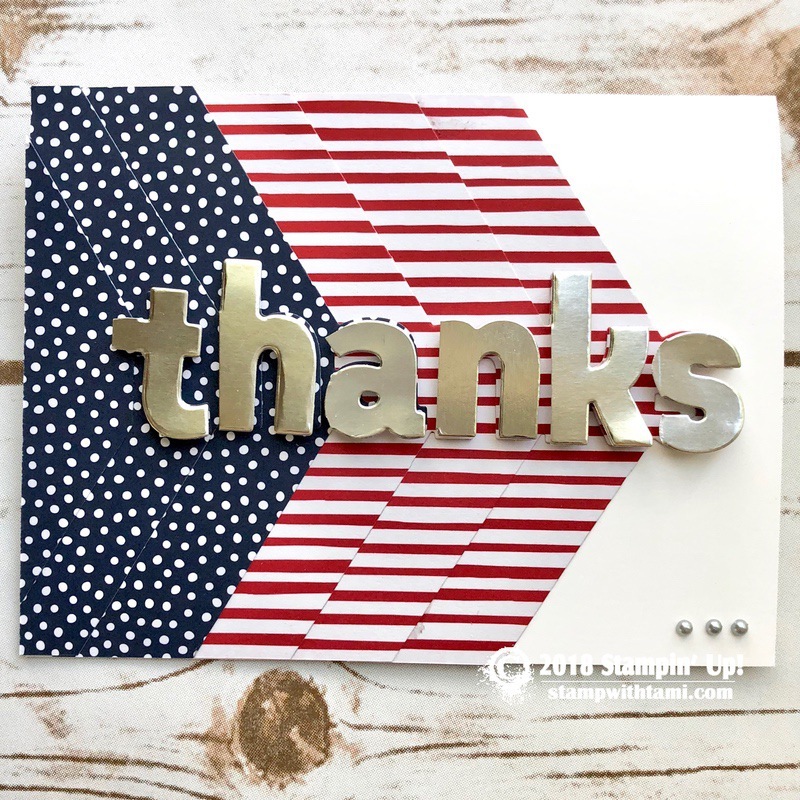 I’m loving these patriotic American flag “thanks” cards, perfect designs for that special someone who has served our country. 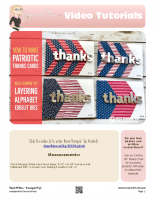 Also great for Cards for Troops, and 4th of July parties. These cards were created with the new Layering Alphabet dies from Stampin Up. These dies are designed to interlock with included Edgelit piece to create cascading word projects. I took it a step further and popped up the letters in Silver Foil to really make them “pop” (like a fire cracker). I made 2 different designs and I couldn’t decide which I liked better, the traditional flag layout, or the alternating “stripes and stars” (the stars are represented by polka dots). 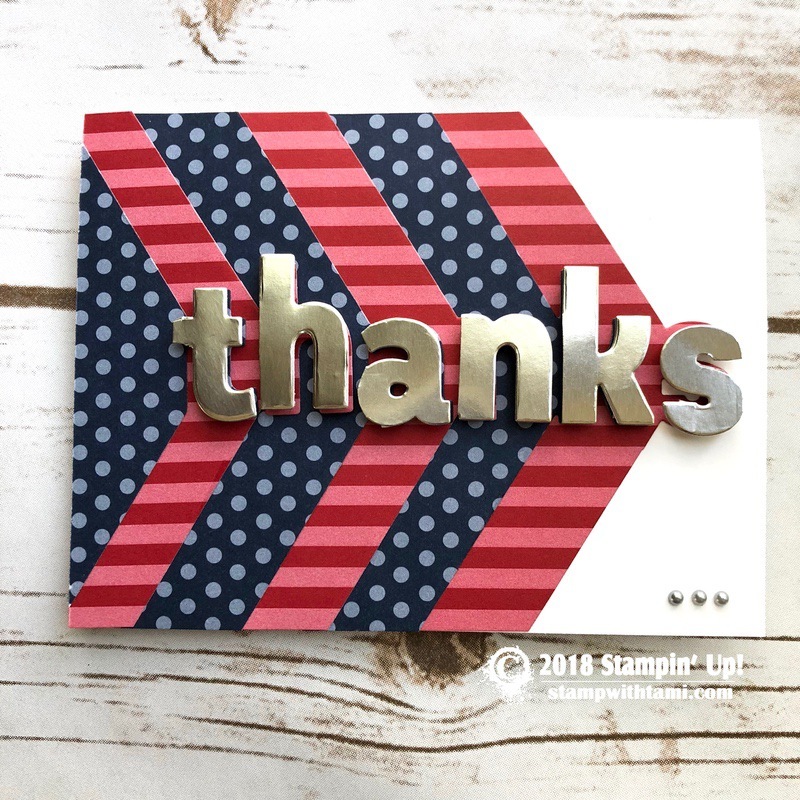 I also made them with several different colors from the new Stampin Up patterned dsp. I have a video tutorial below. 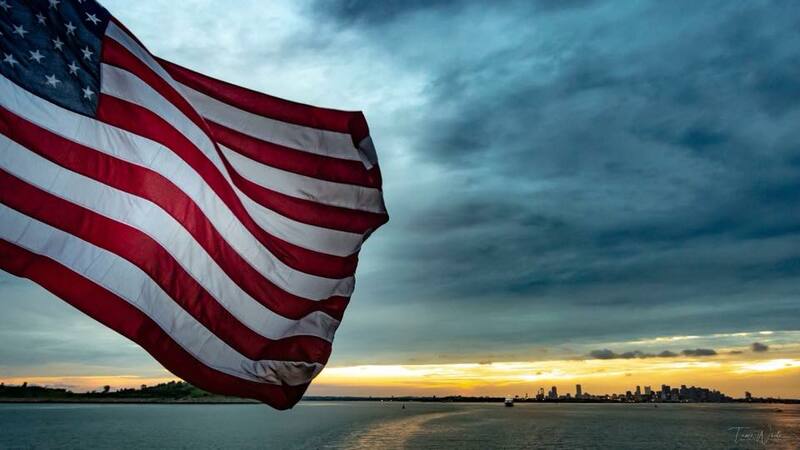 In honor of the 4th of July holiday, and a tribute to all who’ve served our country, I wanted to share a photo I took a couple of weeks ago in Boston Harbor. Boston has a lot of historical significance in American History. Here the Stars and Stripes waving proudly with the city of Boston in the distance. Thanks for letting me share, and now back to our cards…. On this card I only used the dies (without the stamps) but you could easily adapt the cards to include both. You save 10% when you purchase them together as a bundle. These are the 4 different color families I used for these cards. Each package contains 40 double sided sheets by color. The core family packages contain 10 colors and 2 of each sheet, the In Color packages contain 5 colors and 4 of each sheet. Because you get 4 sheets of each from the In Color, it gets the most mileage for these cards. Note: I didn’t use the Subtles or 2017-19 In Color packs for the cards so they aren’t shown here, but they are available. #1 Stars and Stripes American Flag Pattern DSP layout: Layering Alphabet dies with Night of Navy (Neutrals) and Real Red (Regals) Designer Series Paper. Silver Foil for letters. #2 Alternating “Flag” DSP designs: Layering Alphabet dies with Night of Navy (Neutrals) and Real Red (Regals) Designer Series Paper. Silver Foil for letters. 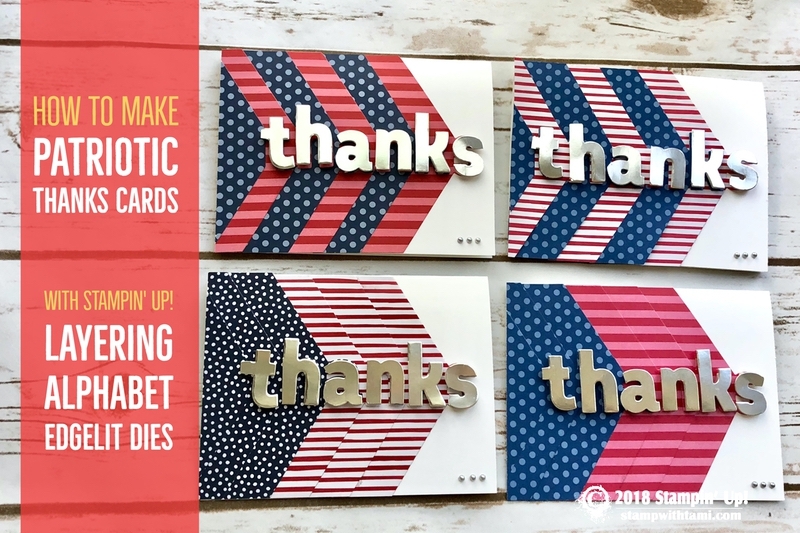 #3 Alternating “Flag” DSP designs: Layering Alphabet dies with 2018-20 In colors: Blueberry Bushel and Lovely Lipstick Designer Series Paper. Silver Foil for letters. 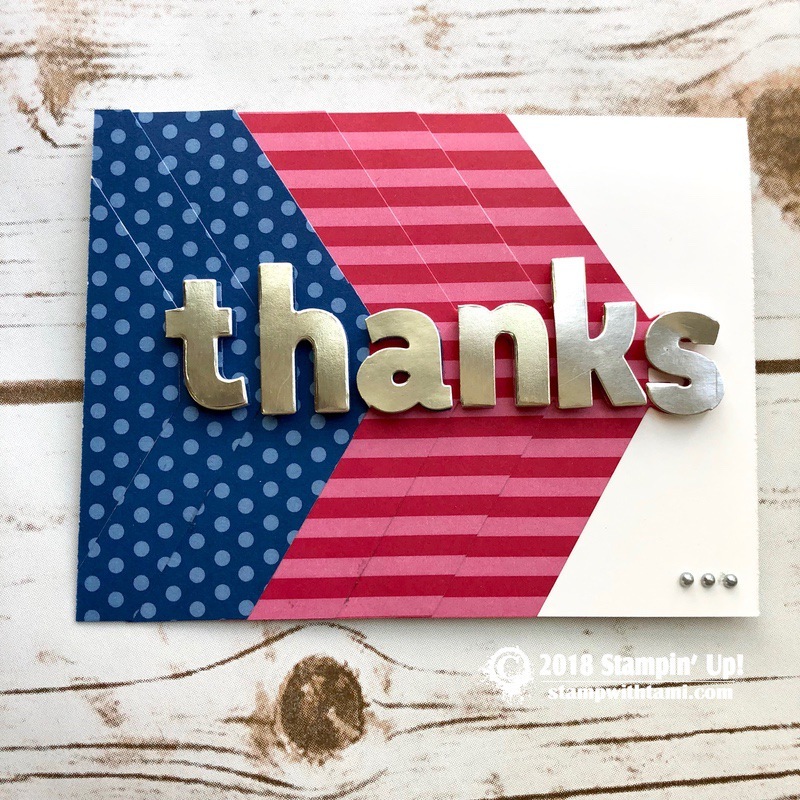 #4 Stars and Stripes American Flag Pattern DSP layout: Layering Alphabet dies with 2018-20 In colors: Blueberry Bushel and Lovely Lipstick Designer Series Paper. Silver Foil for letters. 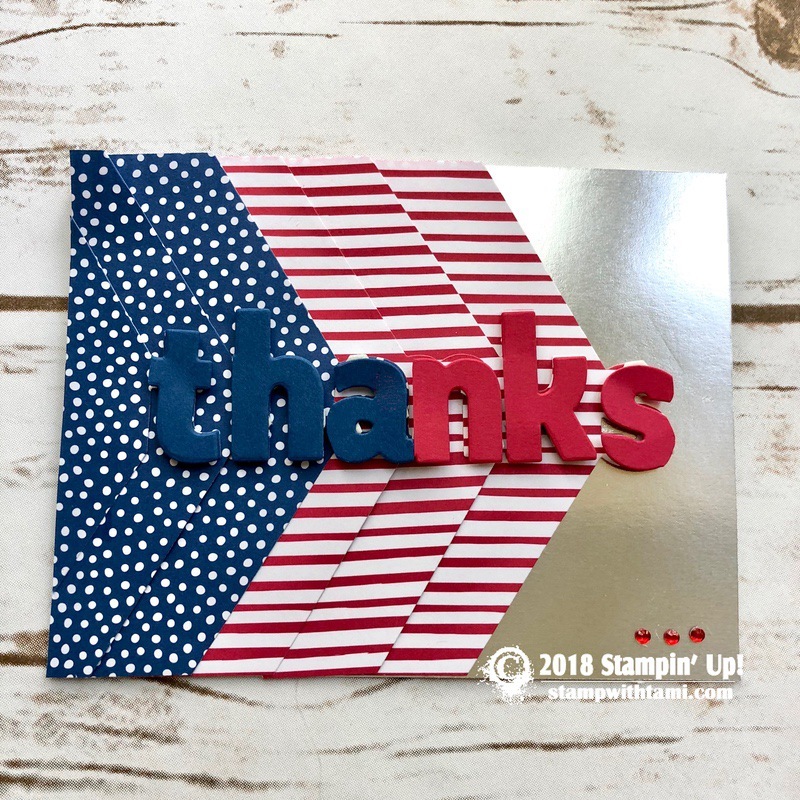 #5 Stars and Stripes American Flag Pattern DSP layout: Layering Alphabet dies with 2018-20 In colors: Blueberry Bushel and Lovely Lipstick Card Stock and Designer Series Paper. Silver Foil for the background and Red Rhinestones. #stampitcontest Donna Billingsley Beautiful cards! #stampitcontest Love this card I like the traditional flag look best. #StampItContest Oh …I love 4th of July cards!!! Like 1, 3, 5. Thanks for sharing and for the goodies you’re giving away!! Love the flag photo too! Your making me rethinking these Dies! Didn’t think I needed this die set, you may have changed my mind with this card set – wonderful! I didn’t think i needed this die set, but your beautiful patriotic card set may have changed my mind! Love these cards! This bundle is a part of my extensive wish list! Thanks for showing how to use the alphabet dies! 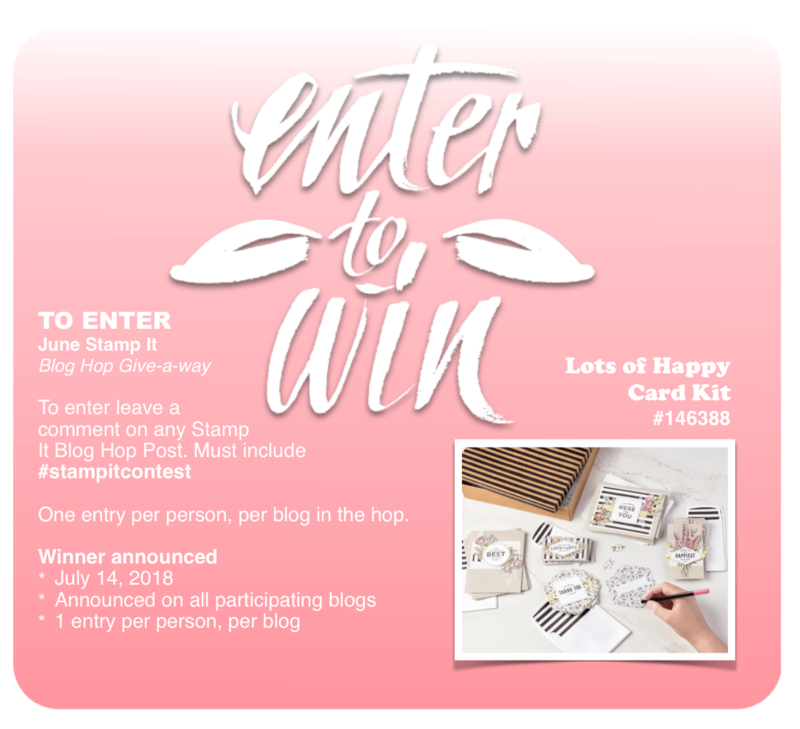 #stampcontest. Wasn’t sure about another alphabet set but I am really liking it now that I have seen how easy it is to work with. These are fantastic cards, anything patriotic is a winner for me! #stampitcontest.Love all of these cards! #stampitcontest Absolutely adore these cards! Those alphabet are nice too!